Don’t even get me started on pumpkins. I love pumpkins: at this time of year, almost more than any other shape and color. What daffodils are to spring–a concrete encapsulation of the entire point–pumpkins are to fall. Round, rustic, simple, vibrant, fertile, textured, real. Here’s an idea for what to do with those extra pumpkins you grew, or bought for fall décor. 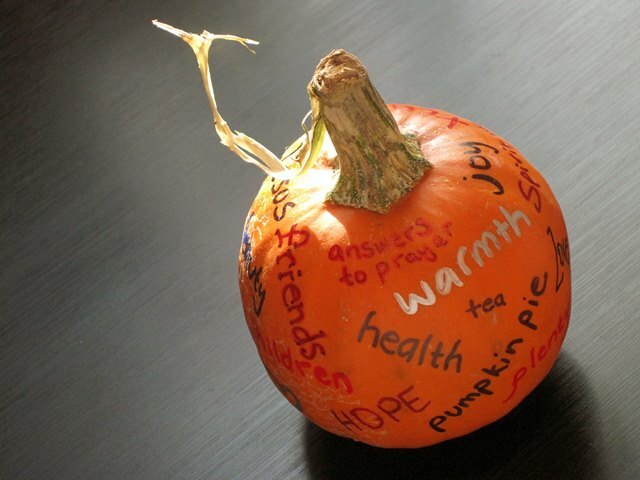 Take some pretty permanent markers, assorted if you like, and turn your pumpkin into a canvas of praise. 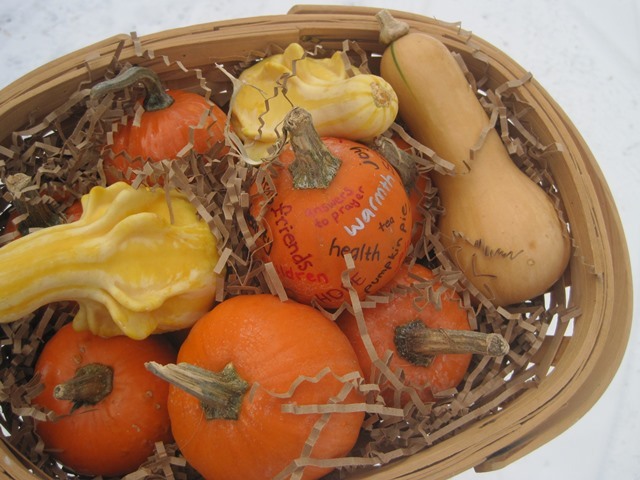 I bought mini pumpkins for doing this project with some teen girls–to each her own. And on Thanksgiving Day I plan to take one big pumpkin to our family shindig, plop it down somewhere, and let anyone who passes add their words of thanks and praise. What are you thankful for? How do you list it? I used this idea w/ my extended, non-believing family this week. Its always hard to know what to do when we are together. It was a great success. Thanks for the idea! !